Have you always wanted to see what it was like to fly a small plane? The discovery flight is perfect for someone who just wants to get a taste of becoming a pilot or to check off an item on a bucket list! The airplane will be pre-flighted and ready for you to hop in the pilot’s seat. Your flight instructor will demonstrate climbs, descents, turns, and straight & level flight. And you will have the opportunity to take the controls and get a feel for flying! This experience includes about 20 minutes of aircraft time. This is small private event during a morning or evening dedicated to you - or your small group. This is a 3 - hour event. You can come by yourself to truly explore the sport as an orientation, or bring the whole family/group for a bunch of short flights and socializing. This private event is excellent for a Date, Anniversary, or Birthday, or even for Family Bonding. 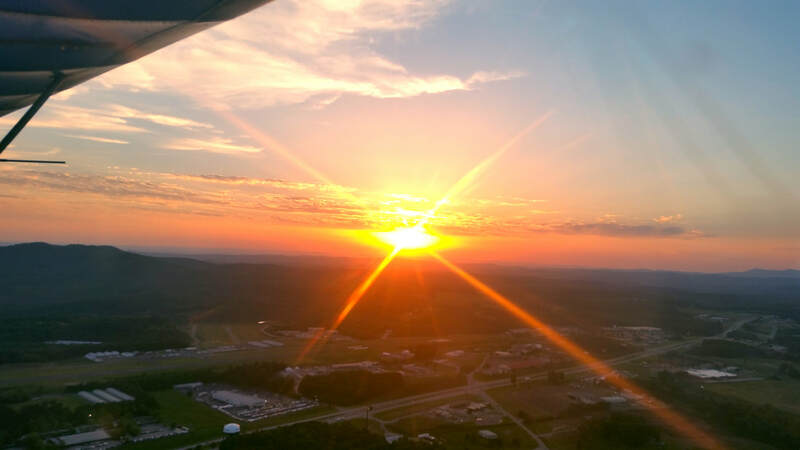 It's a truly unique experience in a beautiful mountain location for low, slow and safe flight with a certified instructor in a state-of-the-art Light Sport Aircraft. Or just watch everybody else in your group. We can fly people from 8 years old to 108! The little ones aren't left out though; we can taxi them in our plane on the ground -- which is its own thrill! Make great profile pictures on Facebook, or take your family Christmas card shot! 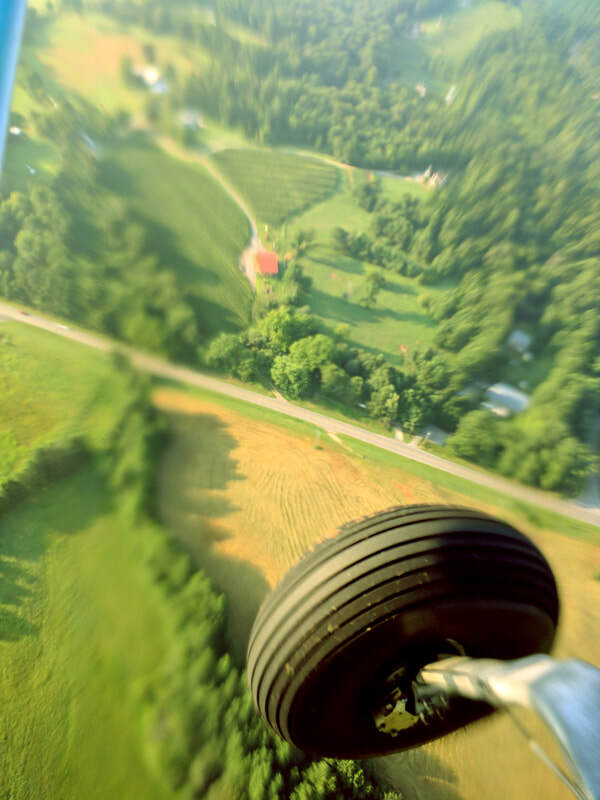 Each flight will typically offer a cruise above mountain terrain, river beds, lakes, ponds, pastures, and ridgelines while offering you one-on-one instruction both on the ground and in the air. Certificated pilots are required to have a flight review every 24 months. This review must include at least an hour of ground instruction covering the regulations and at least an hour of flight instruction during which the pilot must demonstrate safe flight. We offer this service to pilots in our BushCat. You must consider, however, that you will have to demonstrate takeoffs and landings in our airplane before we can sign off on your review. This means that we can not sign you off for your review without a tailwheel endorsement. If you already have an endorsement, you will simply need to allow for time for familiarization with our plane. If you do not have an endorsement, we are happy to combine your tailwheel training with your Flight Review. Time involved will vary with your skill and experience. Want to become a better pilot? Tailwheel aircraft require more attentiveness toward, and control over, the plane. This is because to the center of gravity is behind the main wheels instead of in front of them, like in a nosewheel plane, which makes the plane apt to ground loop (which is just like it sounds) if the pilot does not keep the plane pointed in the direction of travel. What you learn in a tailwheel translates to more & better control in a nosewheel plane. 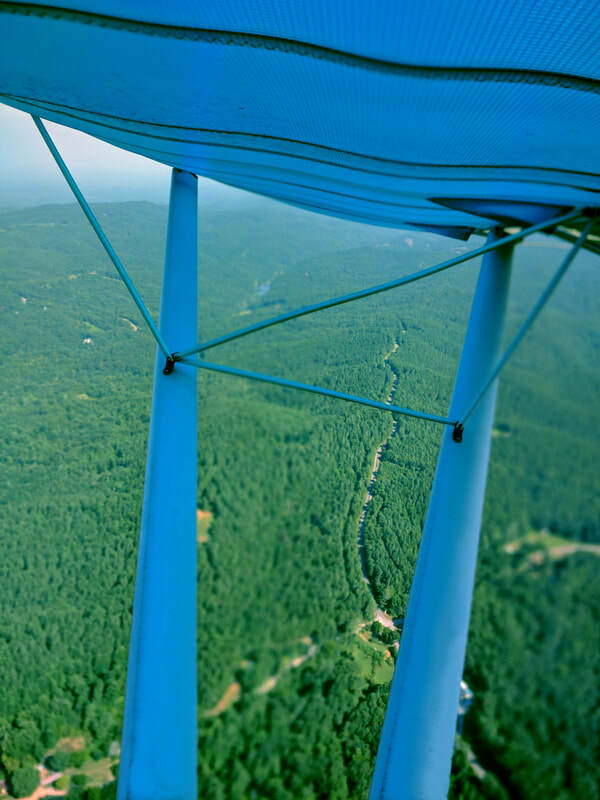 Why fly a tailwheel airplane? Because it is challenging and crazy fun! It's bragging rights! It's like taking a step back in time when all airplanes were tailwheels (in fact, it's still called "conventional landing gear")! Getting our tailwheel endorsements made us feel more like pilots than did a Commercial Pilot's license. To us, flying a tailwheel is real piloting! Training for a tailwheel endorsement involves some ground school, taxi practice, familiarization with our aircraft at altitude, grass 3 point and wheel landings, and pavement 3 point and wheel landings. Time will vary according to pilot experience and skill, but we have found it usually takes about 10 hours of flight and 4 hours of ground instruction. We are certified by the FAA to train pilots for a Sport Pilot Certificate. That means all training your receive from us counts toward a Sport Pilot Certificate. Currently, regulations don't allow our training to count toward a Private Pilot Certificate unless you complete and earn your Sport Pilot Certificate. Otherwise, it can only count as flight experience toward a Private Certificate. The Sport Pilot world is a relatively a new animal in aviation, and thus has its own idiosyncrasies. Some may think less of a Sport Certificate compared to a Private Certificate because the Sport Certificate requires less Aeronautical Experience and has more Limitations than does Private. However, we enjoy thinking of flight as a sport -- as something challenging and engaging, something that you can use to push yourself to grow, or something you can do for the sheer pleasure of it, or both. We estimate that it takes about 30 hours of flight and 10 hours of ground instruction (presuming you have already taken the written test) to be ready for your Practical Test to earn a Sport Certificate. Other fees to consider are your written test preparation supplies, the written test fees, Designated Pilot Examiner fees, and Aircraft rental for your examination. Note that we fly regularly, and so stay pretty sharp. Flight is a perishable skill. Come fly with us to stay current or to JUST TO GET UP IN THE AIR!